long time no see. it is one of the base taste in the islay whisky. steady. 58? Please explain, why so low. I was going to pick up a bottle of this baby. obviously not a big peat/smoke fan ?!? @Fulano, it is always good to read ALL the reviews, and then decide for yourself. Everyone's review is valid for them, but Connosrs have varying degrees of experience. 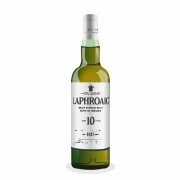 My take is that Laph 10 is very smoky and unique, and one to have in your collection; but if only getting one, I would go for the Laphroaig Quarter Cask instead. Well thank you for the quick response. I am actually extremely new to scotch whisky single malt. My 1st scotch was a blend; The Dimple, Pinch. A scotch blend that I do not recommend. Sharp and quickly ending in taste. I then went with a reference from a friend to try Glenmorangie 10 yr which intrigued me. Curious. Hmmm. Ok so quickly shelfed that and picked up a Glenlivet 12 year. Wow. Now that was delicious. Although my cherry was already popped, I now fell in love. Before ending that relationship, days later, I cheated on her at a local Pub that served fine scotch whisky. The little homewrecker was a sweet but bitter little ladie by the name of Balvenie, yes The Balvenie 12 year double wood. And wow was she gracious, I instantly was admired, and had hoped to enjoy a movie with her, home, over a warm fireplace. So I pursued my heart the next day in hopes to rendezvous with her in my local wines n spirit shop. She didn't show up, but left me with her much older relative; Portwood. But she indeed was no little lady. At the age of 21, staring and glaring at me through that fine can can body. So very classy. It was as she new I had to take her home... And so I did. With great eagerness we both casually strolled out and into my car. I placed her in the passenger seat and turned the ignition hearing the roar of my inline 6 BMW m3 engine purr with equal happiness. With great spirit we sprinted off to my place, parked, door opened and home at last. But not quite. I popped the top and unwrapped her fine silky paper only to see her big 21 staring right back at me. Oh sweet baby I just could not pop the cork. No. It just didn't feel right with my ol Glenlivet 12 glaring at me with her green glowing beauty settling with envy. I just couldn't do it. I quickly dressed her up, wrapped and back in the can as I reached over and grabbed my livet 12 and kissed her. Sweet baby how could I. I poured that I'll lady into her Glenlivet cup and let her sit as I twirled her about and glistened at her beauty, and then I did it. I smelled her glamour. Once and once more llike foreplay of a summer sun on a rainy day, and then I sipped and sipped like to kids in a park child's play. Mmmmm. The joy of single malt scotch simply settled then wrestled and settled again, like a brother and siter or two best friends. Thank you my friend, yes thank you. It's Glen... Enjoy.. Even if you're not a peat/smoke fan, 58 is ridiculously low. Granted, Laphroaig isn't for everyone, but 58 isn't a proportionate response. Bug-alarm, no clue why my comment disappeared. 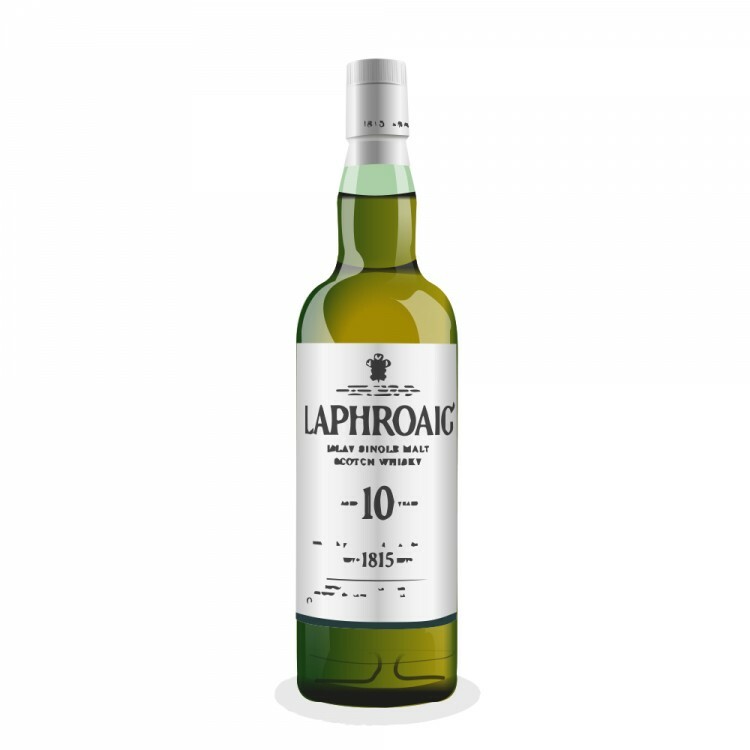 Wanted to say that we all have other scales how we rate a dram. Like most here, I wouldn't give a 58 unless the whisky is total crap in my opinion. I think this isn't true here. Still, reviews are very subjective and like the author wrote, for him it smells like Japanese medicine which might be very off-putting for all of us. But also in the tasting notes the reviewer says it's one of the best tasting ones on Islay. So is it an error? A misunderstanding? Or does the reviewer rate other islays lower?